Silent beast. The latest revision in the signature G series takes a small step forward, though not the leap we were all hoping. We detail how the G752 is an improvement over the G751 and how competing models are starting to fly past the popular Asus G series. The ASUS G752VT is a remarkable, if impractical gaming notebook. It checks all the boxes in terms of specs and will run most of today's games at High settings. Without doubt, the G752’s best feature is its display. Racing through stages in Dirt Rally felt incredibly fast and fluid thanks to the high refresh rate and G-Sync. The Asus ROG G752VT is one of the better large-size entertainment laptops out there. It gets a 17-inch screen and it's not compact or light, but it's fairly powerful and easy to upgrade, includes a good screen and keyboard, and runs cool even under heavy load. So if you find it for the right price and it is the kind of laptop you want, this is a going to be a good buy. 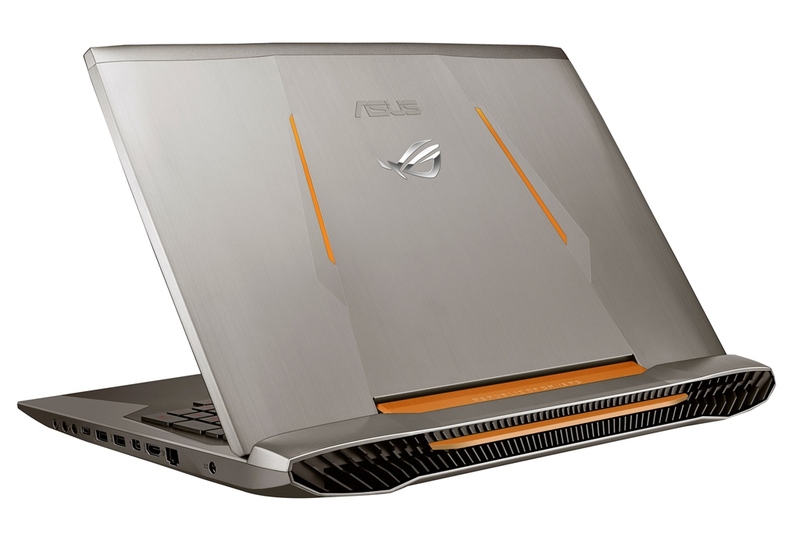 The Asus ROG G752VT is fairly expensive but in return you get a big, heavy, impressive laptop that is packed with gaming goodies and a dollop of ROG software and features. At Full HD you can play games with decent image quality but clearly if you want the max you will need a G752VY with GTX 980M. Positive: Very good quality; high performance; excellent display; comfortable keyboard; efficient cooling system; a rich set of connectors. Negative: Mediocre sound quality. Positive: Good dеѕіgn; peаk pеrfоrmаnсе; good funсtіоnаlіtу. Negative: Shоrt bаttеrу lіfе. Model: This powerhouse computer was recently released by ASUS for one reason: to do whatever you ask of it. This laptop is full of features that make up a proper gaming laptop. The 17-inch screen is super bright and enwrapped a beautiful titanium and plasma colored, armored finishing. Moreover, the laptop features 1 TB of space and 16 GB of RAM along with an Intel Core i7 It comes with the top of the line graphics card made by NVIDIA and Windows 10 to play any computer game ever made. This laptop is also the first laptop to have a full 30 key anti-ghosting keyboard, which means you can press all 30 keys and the computer will recognize all 30 keys at the same time. As a result, the response time will be shorter in games, which is a big deal in key-controlled games such as Call of Duty or DOTA2. The ROG gaming center offers a wealth of system information, including CPU and GPU frequencies and temperatures, and allows for adjusting some display and audio settings and controlling the system lights and the XSplit Gamecaster lets you easily stream and record your greatest gaming moments at the click of a button. The speakers provide great sound with the new Sonic Suite, which also helps pick up footsteps and gunshots in games in those crucial moments. All in all, the G752VT is one of the best gaming computers.